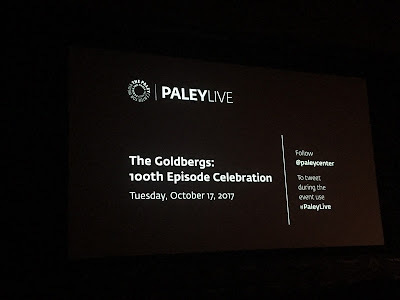 Last night we had the good fortune of attending the 100th episode celebration for The Goldbergs held at the Paley Center. As you know, it's one of our favorite shows, so we were super excited to attend. 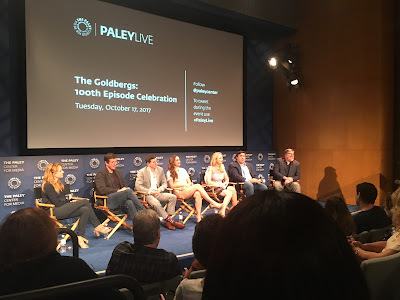 Initially, the entire cast (except for Jeff Garlin) was supposed to be there, but due to unforeseen circumstances, only a few cast members joined the panel. 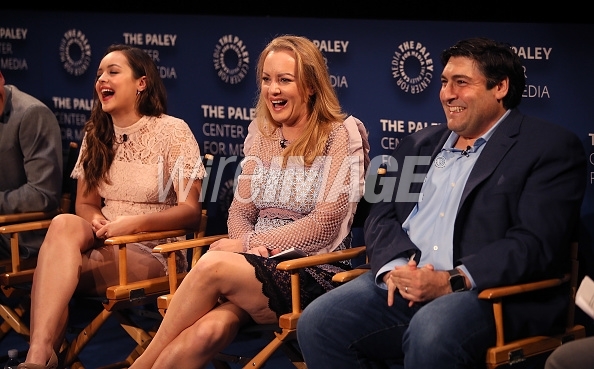 That was a bit of a bummer, but the panel was still incredibly entertaining. I should have taken a picture of the magnets I made for the cast - I even got to pass them out onstage! Lea Thompson directed the 100th episode, so she joined the conversation, as well. 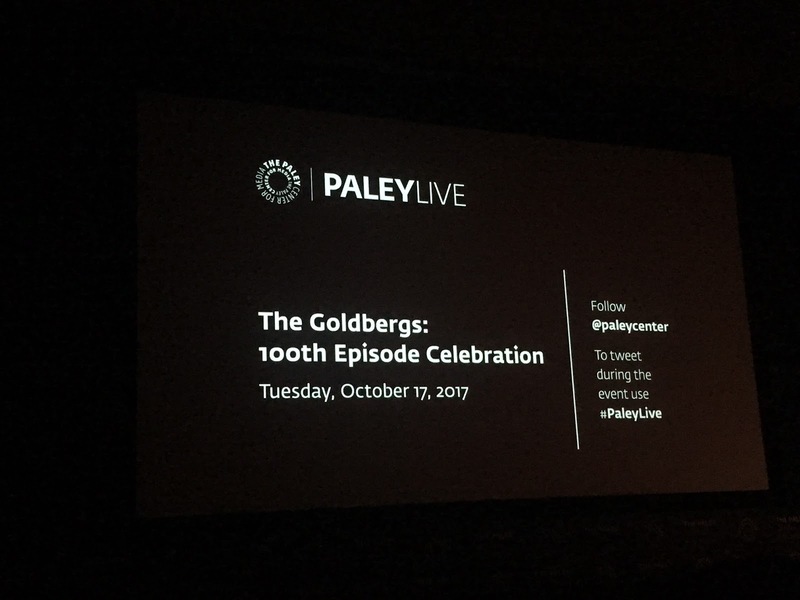 Aside from George Segal (who, sadly, couldn't make it) the person we were most excited to see was Adam F. Goldberg himself. Keith had never met him, so it was awesome getting a chance to talk with him after the panel. Such a great guy!